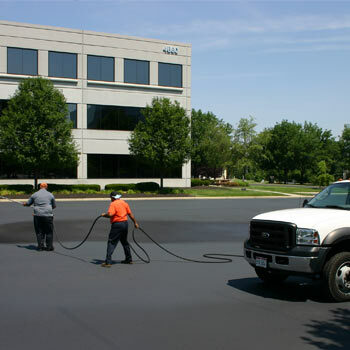 Asphalt Sealcoating is a liquid application which protects your parking lot and thus your investment. 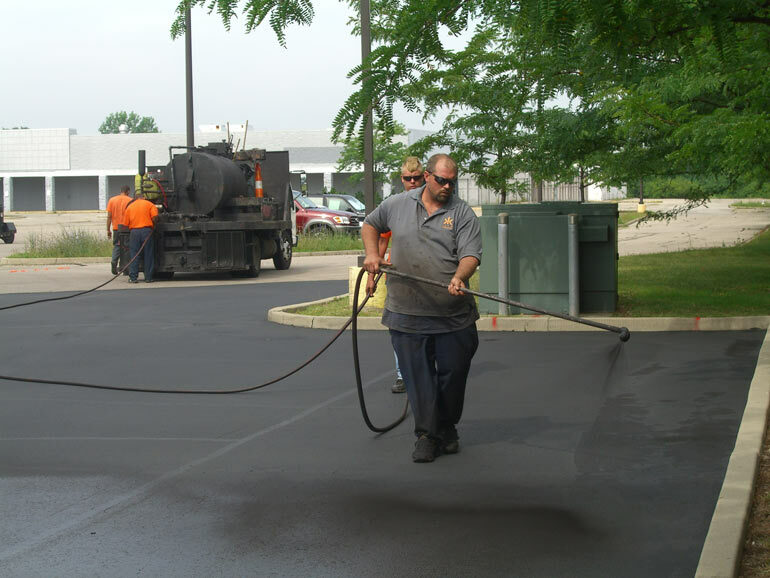 We use a commercial grade coal tar emulsion sealer with tarmax additive for longevity and silica sand for traction and proper wearing. 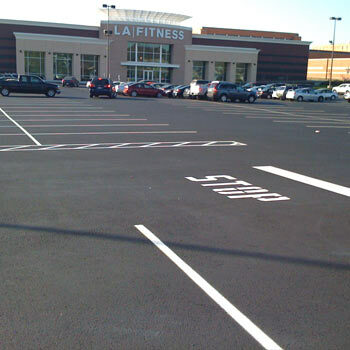 The first step to sealcoating consists of properly cleaning the asphalt parking lot. 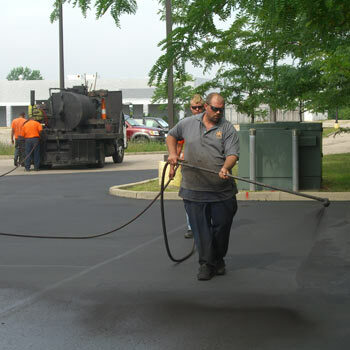 Cleaning the lot free of loose debris is vital to the sealer properly adhering to the pavement. 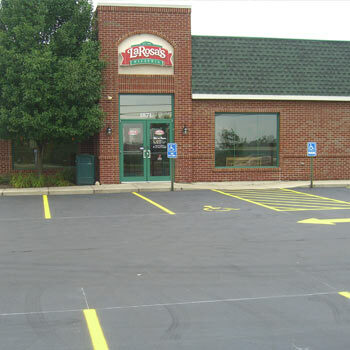 We use a combination of commercial grade blowers and brooms to remove all of the silt and loose debris. 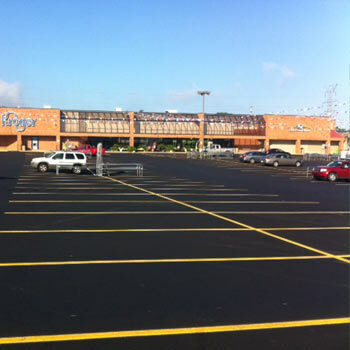 Once the parking lot is clean, it is time to crackfill. All of the cracks a ¼” or larger are filled with a hot liquid tar. 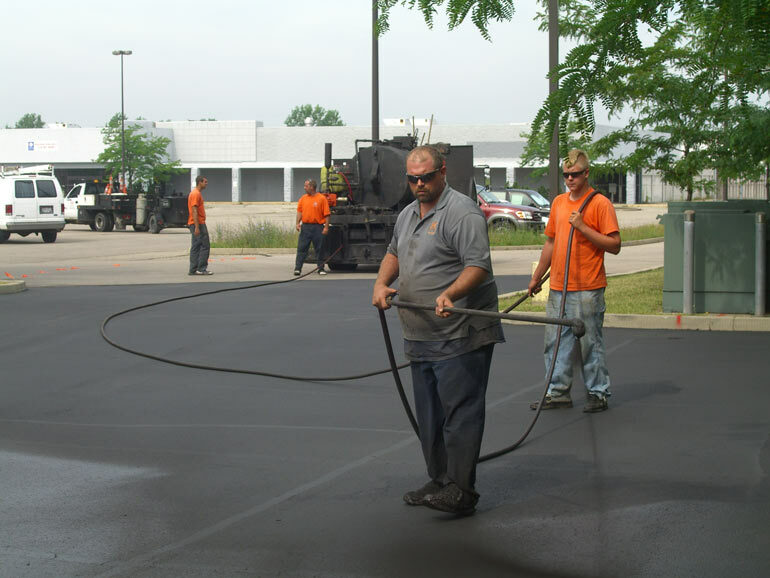 Once the cracks are filled, it prevents water from penetrating the subgrade of the pavement and causing further damage. 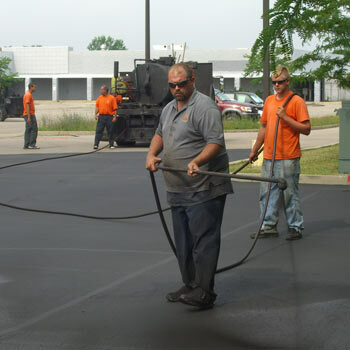 The hot tar is designed to be flexible which allows it to expand and contract as the cracks do through the seasons. 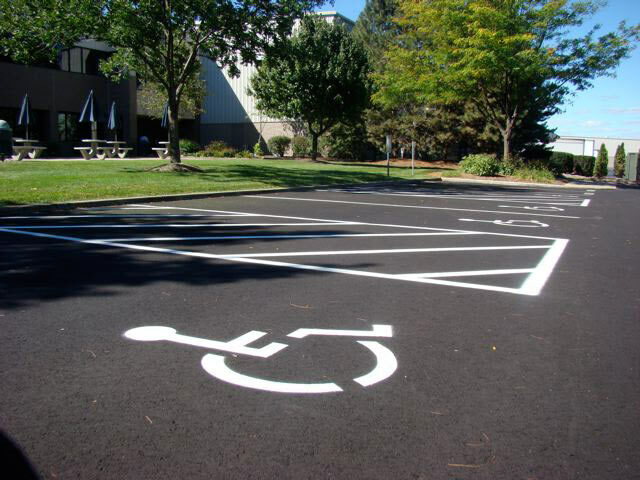 The next step involves installing the asphalt sealer around the perimeter of the parking lot. 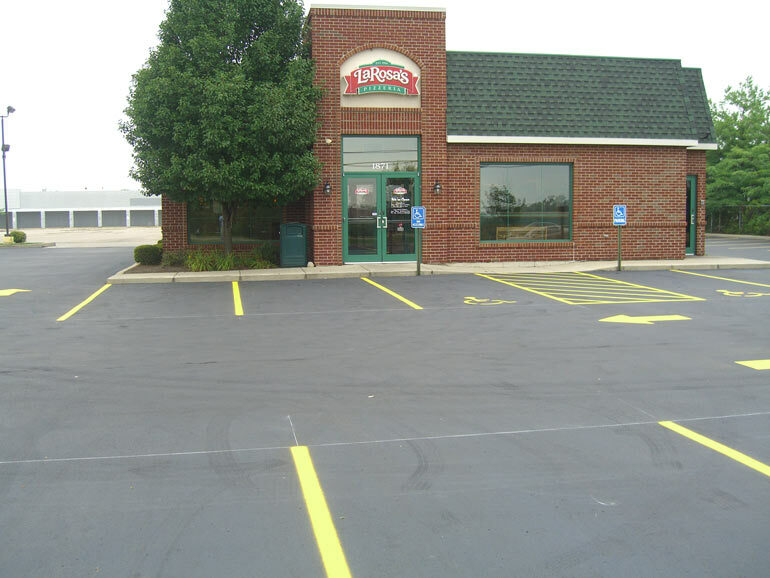 We install the sealer around the perimeter of the lot through the use of squeegees. 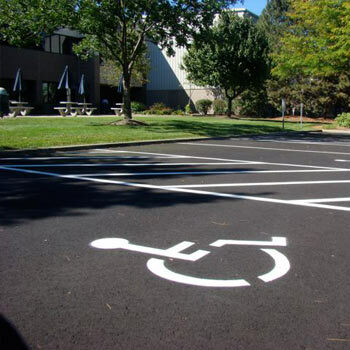 This ensures that we will not overspray the sealer onto your parking bumpers, light poles, concrete walks and any other object where sealer does not belong. 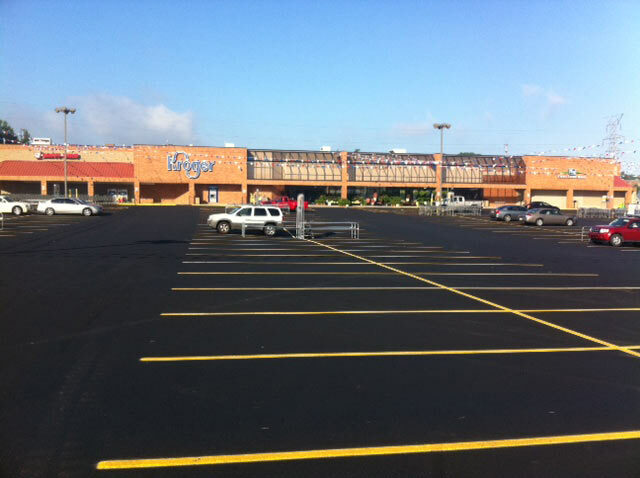 Since we have already completed the edges, all that remains is to spray the center of the parking lot with the first coat. 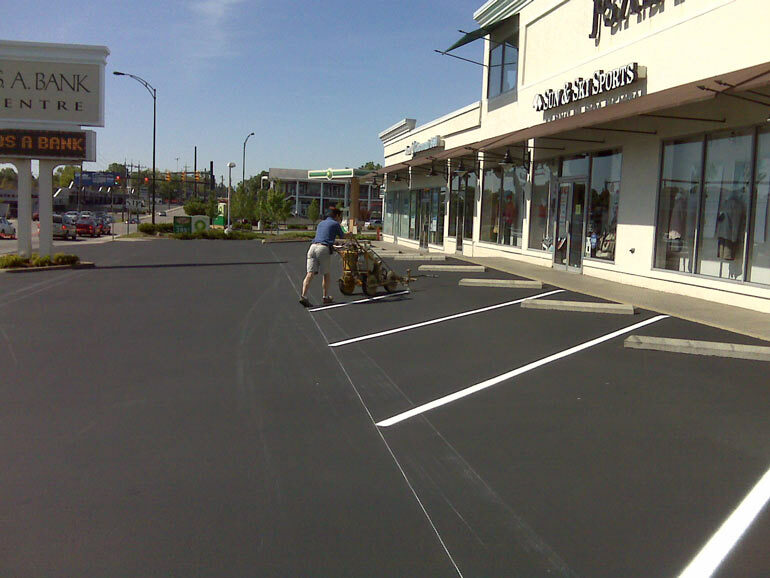 Once the first coat is dry, the second coat may be applied. 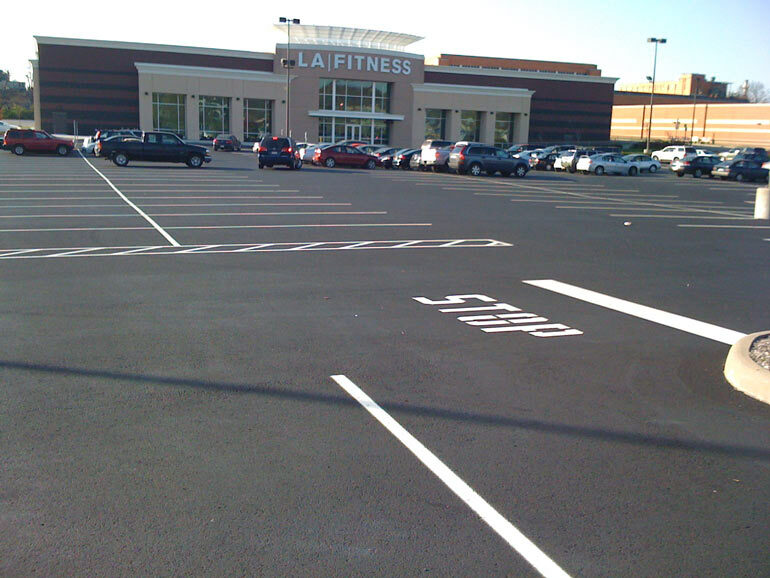 Immediately after the second coat dries we begin to restripe the parking lot. 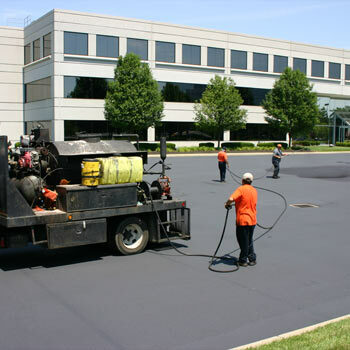 A vital component to sealcoating consists of a proper mix design. 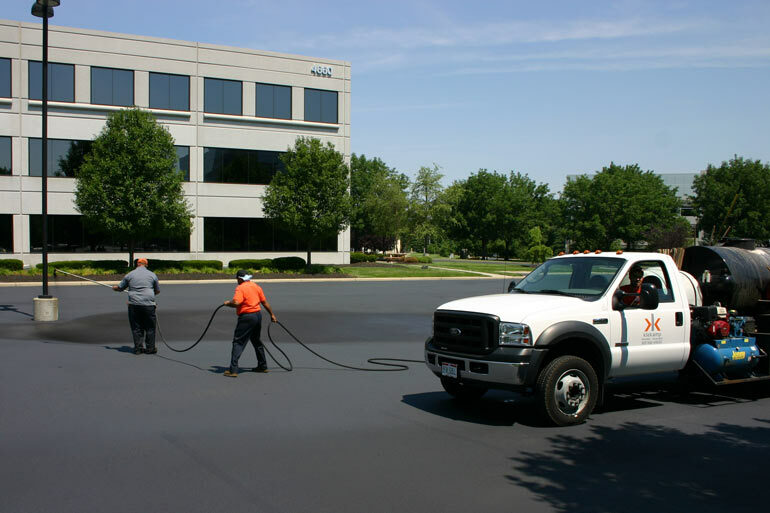 As a sealcoating contractor, we purchase sealer in a concentrated form. Once received, we mix in a small percentage of water, tarmax and silica sand. 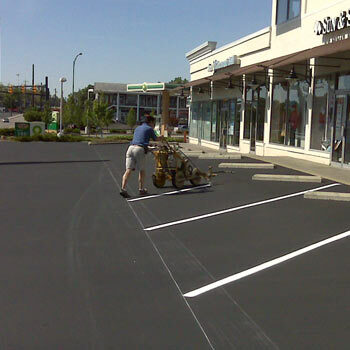 Not all sealcoating contractors mix the sealer as specified by the sealcoating supplier. Corners can be cut by mixing in more water and not using tarmax or silica sand. This in turn can save the contractor money but gives an inferior product to the customer that will prematurely wear. 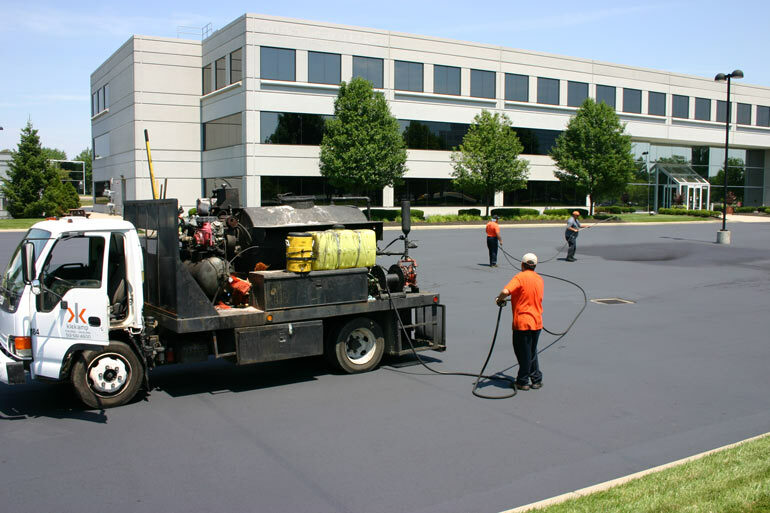 We absolutely guarantee that every load of sealer we mix is done according to the proper specifications to ensure our product lasts as designed.